I purchased a outdoor pumpkin at a yard sale last year for $1 and today I am going to show you the new and improve spooktacular pumpkin. 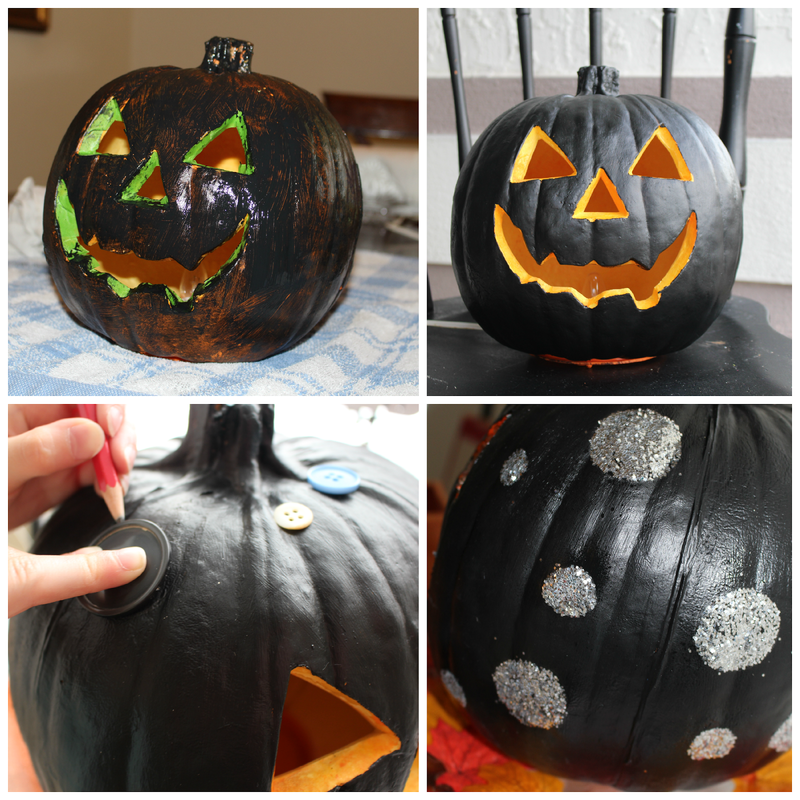 I used chalkboard paint and give this pumpkin three coats. Next I took three different button sizes and made circles all over the pumpkin. I then applied Mod Podge onto the circles and the month, then I added silver glitter. Once the glitter was dry I did spray adhesive on each circle. This is my scary pumpkin all lit up. I love how it turned out, but it's going to look great when I put it outside. 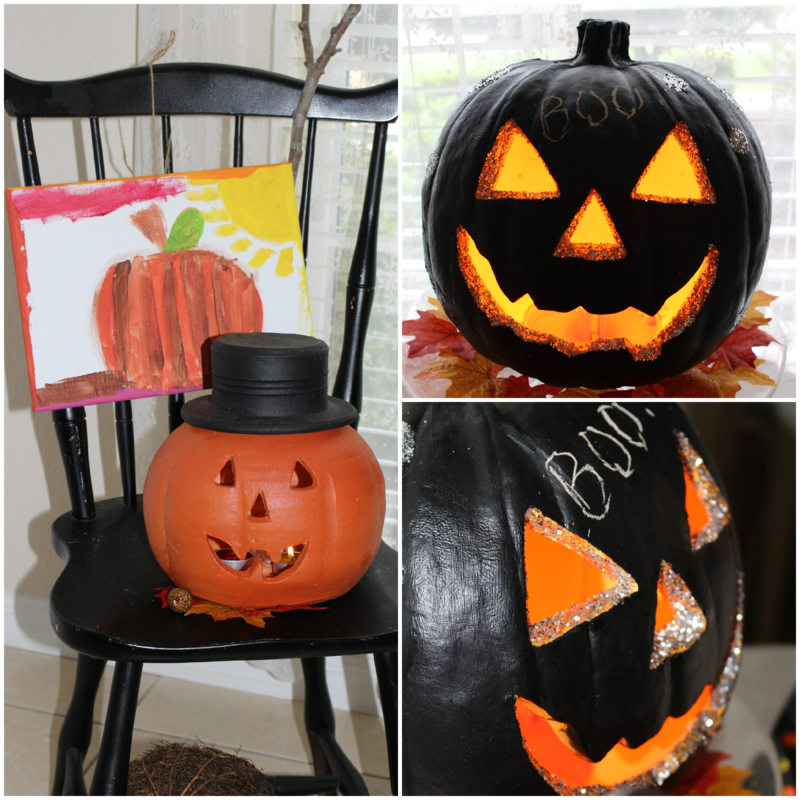 My little girl got the creative bug and made this lovely pumpkin painting. I just love how her creative mind works. 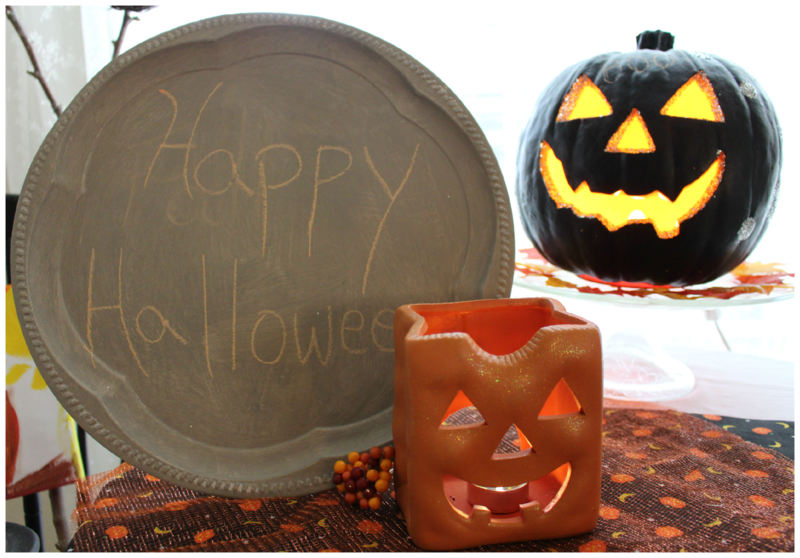 Did you see this old vintage ceramic pumpkin I picked up at a yard sale for a $1. This piece will also be outside as well. I love the glitter around the eyes and mouth. It makes the pumpkin look spooktacular. That would be the perfect pumpkin for me! I do not like spooky or scary either...happy pumpkins are just my speed! Kim, I wouldn't have it any other way. Happy Halloween is what I say. Thanks for stopping by. love the glitter! I need to remember to put it on the eye/nose/mouth areas! Thank you Kelli for stopping by. I love it! Great idea :) & cute vintage pumpkin too!! Wow. I love it. We just halloweenified our interior this week and we'll be working on pumpkin in a few more weeks from now so your pics are great inspiration. That's really neat! Way better than the original item. I need to find some cheap halloween decorations to redo because this stuff gets so expensive otherwise. 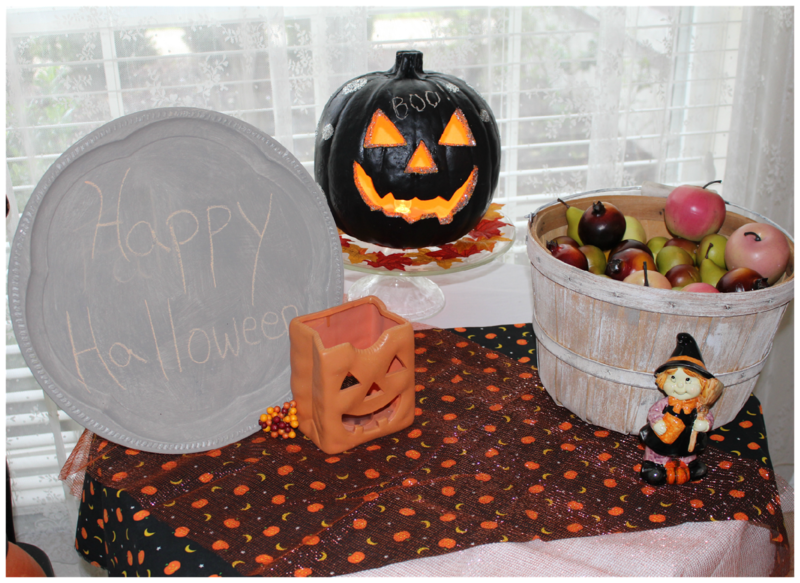 The pumpkin is fab and the Halloween scene you made is lovely! Girl I adore the black pumpkin! The contrast with the black, silver and orange is awesome!